“We are always keen to welcome a greater political focus on the technical and professional education which Alliance universities provide so well. As with any reform the key will be not just warm words, but ensuring that change is implemented at the right pace, with correct consultation, and crucially within a properly funded tertiary education system. There is a risk of creating an artificial divide between FE and HE. Many of our members work in the closest possible partnership with their local colleges. With our partners, University Alliance has built up a bold, radical policy agenda on a lifelong higher and degree-level education, which can create equality of opportunity regardless of background, ability and experience. We want to see a truly holistic system that provides learners with a range of high quality pathways. We hope that the Secretary of State will take forward the plans proposed in today’s speech in this spirit. We are pleased that T levels will now receive UCAS points. BTEC and other Applied General Qualifications already carry a UCAS points value and learners who have taken these qualifications currently account for around a third of entrants to Alliance universities. We know both from our members and our wider partners in industry that there remain significant skills challenges ahead for our economy and we welcome government plans to better map provision to need, as discussed in University Alliance’s recent Ladders of Opportunity report. We look forward to contributing to the consultation on these issues in due course. This will give us an a opportunity to highlight and build on the fantastic work that universities are already undertaking in this area and how we can work with both government and the FE sector to ensure a coherent and useful offer to learners. It should also be said that whilst it is all too easy to think about our future skills needs and higher technical education routes in the context of younger people at the start of a journey, the re-skilling and supporting of adult learners remains an absolutely critical issue for this country. The shocking decline in part-time study remains largely unaddressed. We hope that the government will soon set out a similarly bold plan for this area as we all grapple with an economy and a labour market that will require genuine lifelong learning and we stand ready to work with them on delivering it. 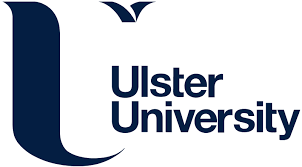 One of the key changes that could ensure that these new proposals make an impact will be the adoption of long overdue reforms such as transferable credits and equality of funding, which UA has long championed”.